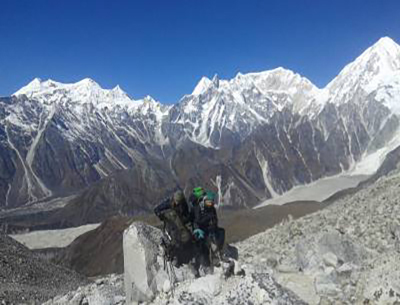 Tsum Valley Trekking offers off-the-beaten-path treks of Nepal are quite suitable for trekkers who want to experience the less-explored and less-trodden trails in the isolated region of Manaslu. The trekking journey takes you to the heart of the region and offers scintillating views of the valleys and vegetation along with the backdrop of the mighty Himalayas. Tsum Valley Trekking is a great option for trekkers who want to experience the less-explored and less-trodden trails. A hidden valley situated against the backdrop of the Ganesh and Sringi Himal, the Tsum valley is also shadowed by the Buddha and Himchuli Peaks. Possessing a mystic beauty, the Tsum Valley vividly presents a vibrant Tibetan Buddhism culture and an untouched natural environment. The journey begins from Kathmandu and stretches deep into Manaslu region through Jagat, Deng, Samagaon, and Samdo. Trekking in the valley of Tsum is an experience where the wild nature is allowed to grow free without much interference from modernization and where the culture of Buddhism has thrived for thousands of years. Trekkers can come across many Mani stone walls, Chortens, Gumbas and stupas along the trail in the valley, all blended in beautifully with the natural environment of the place. The journey includes many spiritual sites as well, like the Rachen Gompa and the Pungyen Gompa. Corresponding to its cultural riches, the Tsum Valley Trekking also presents trekkers with an unadulterated natural setting. The valley's lush woods are home to endangered species of animals like the Blue Sheep and the Himalayan Thar. The valley has restricted hunting, fishing or any slaughtering of animals, making it a haven for many other endangered species of fauna as well. The Tsum Valley Trek is a moderate trip that is best suited to do during the months of March to May and September to December. It is a beautiful off-the-beaten-paths journey that is brimming with natural hallmarks and cultural features that are just waiting to be explored. Join Destination Unlimited for an unforgettable trekking experience. Our veteran guides and professional team members will make sure that you get the best services and that your stay in our beautiful country is filled with wonderful memories. We always ensure your safety and comfort with excellent services throughout the trek. When you arrive at the Tribhuvan International Airport, you will be welcomed by our team member. He will help you get transferred to your Hotel. Overnight stay at the Hotel. Day 02: Sightseeing in Kathmandu valley or the free day on your own. Today, you will have a tour of the UNESCO World Heritage Sites of the Kathmandu city. Kathmandu has four major sites which you will explore on this day- they are the Pashupatinath Temple- located on the banks of the holy Bagmati River, the Boudhanath Stupa- the largest Buddhist Mandala in the world, the Swayambhunath Stupa, a revered shrine religiously sacred to both the Hindu and the Buddhist people of the country and the Kathmandu Durbar Square- a complex of old Palace and buildings that are the reminiscent of the country's medieval monarchial era. After the tour is over, you can spend the rest of the time as per your preference, relaxing at the Hotel or preparing for the trip. Overnight stay at the Hotel. Day 03: Drive from Kathmandu to Sotikhola (710m), 8 to 9 Hrs. From Kathmandu, you will have a beautiful drive towards Sotikhola today. On the way to Arughat, you will be driving on smooth patches of the road until Dhading Besi, from where the road is rather rough on a dirt trail. Finally, passing through the winding hills, you will reach Sotikhola. Overnight stay at the guesthouse at Sotikhola. Day 04: Sotikhola – Machha Khola (900m), 6 to 7 Hrs. Constantly trekking on an upwards-and-downwards hill trail, you will make your way from Sotikhola through the lush forests of juniper and follow the Budhi Gandaki River towards Machha Khola. Along the way, you will ascent and descent continuously as you trek on the track carved into the mountainside. The course of the views also changes as the open gape of the valleys change directions. Overnight stay at the guesthouse at Machha Khola. Day 05: Macche Khola – Jagat (1340m) 6 to 7 Hrs. Trekking further on out from Machha Khola, you will make your way winding through the valley towards Khrola Besi. Further from here is Tatopani- the village that has natural hot springs famous for their healing properties. You will then continue on the path from Tatopani, crossing forests until reaching Dovan Khola. You can also see the sandy beaches on the riverside as you continue towards Jagat. Overnight stay at the guesthouse at Jagat. Day 06: Jagat – Deng (1860m), 6 to 7 Hrs. Trekking through the banks of the Budhi Gandaki River, you will cross several suspension bridges decorated with prayer flags and meander your way up and down until finally reaching Sirdibas. More trekking through the hillside and you will reach Philim. The trail then passes through the settlement of Ekle Bhatti. From here, it is a steady trek towards Deng. Overnight stay at the guesthouse at Deng. Day 07: Deng – Namrung (2640m), 6to7 Hrs. From Deng, the trail is a wonderful brim of culture and Himalayan settlement. You will now be entering the Nubri state that extends all the way to Dolpo on the western Himalayas. Mostly keeping your pace alongside the Budhi Gandaki River, you will be trekking on a leveled-out trail until finally reaching Namrung. Overnight stay at the guesthouse at Namrung. Day 08: Namrung – Samagaon (3525m), 6 to 7 Hrs. From Namrung, you will be making your way along the woods with your first views of the Manaslu Himal (8163m) towards Samagaon. Up ahead on the journey, you will reach Lho and crossing the woods, you will reach Shyala- from where the panoramic view of the Himalayas is extremely beautiful. From here, you will reach Samagaon- a small settlement decorated with prayer wheels and Mani Walls. Overnight stay at the guesthouse at Samagaon. Day 09: Samagaon – Pungyen Gompa – Samagaon, 6 to 7 Hrs. This day is set aside for acclimatization at Samagaon. You will be visiting the Pungyen Gompa today, situated about two and a half hours walk away from the village. At the Gompa, you can enjoy butter tea and mingle along with the monks who reside there. The Gompa has beautifully lined Chortens and a spire of brass and gold-plated copper. After spending time at the Gompa, taking in the sights of the landscape and exploring the shrine, we will return back to Samagaon. Overnight stay at the guesthouse at Samagaon. Day 10: Samagaon – Samdo (3875m), 4 to 5 Hrs. It is a very short walk from Samagaon to Samdo. You will pass the gorgeous Birendra Lake on the way and head northwest into the valley. There are Mani Walls and Chortens along the way as well. Samdo is the last settlement of the Gorkha District. The culture of the people of the village are quite primitive and you can see the locals going about their day, collecting firewood from the dry trees that surround the village or farming wheat on the sparse path of agricultural land. Overnight stay at Samdo. This is a rest day, where you can explore the village and enjoy the serenity of the Nepali country-life. The far-off settlement is quite dramatic in its terrain as the soil has a reddish hue to it and the herbs that grow there also retain the auburn tint. It is like being in an old photograph. Overnight stay at the guesthouse at Samdo. Day 12: Samdo – Dharamsala – Larkya Base camp (4450m), 4 to 5 Hrs. From Samdo, you will be trekking towards the Larkya Base Camp today, at Dharamsala. It is also locally called the Larkya Phedi. Dharamsala is an ancient settlement with not much population and a very few dotting of small teahouses. It lies at the base of the Larkya La Mountain Pass, and occasionally, strong winds sweep down the village from the pass, especially in the afternoon. Overnight stay at Dharamsala. Day 13: Dharamsala – Larkya la (5160m) – Bimthang (3720m), 8 to 9 Hrs. You will start the trek to the Larkya La Mountain Pass early in the morning. It is crucial to make the pass crossing in the morning as later in the day, strong winds blow through the pass, making the crossing difficult. Steadily making your way upwards towards the pass, you can get good views of the Budhi Gandaki River valley. Then, you will eventually descend down towards Bimthang. Overnight stay at Bimthang. Day 14: Bimthang – Tiliji (2300m), 5 to 6 Hrs. The technically difficult part of the trek is over. From Bimthang, you will be entering the lower belt of the Marsayangdi valley. The trail passes through dense forest and fields once again and enters Manang. It is a pleasant walk towards Tiliji from here on out. You can enjoy the beautiful landscapes around the value. Overnight at Tiliji. Day 15: Tilije – Tal (1700m), 5 to 6 Hrs. Trekking from Tiliji, you will be making your way to Dharapani, entering the Annapurna Conservation Area Project. Along with this trail, you can occasionally encounter other trekkers on their way up for Thorong La Pass. This area is relatively commercialized than the rest of the journey, and you can expect a busy road with local four by four drives. Enjoy the gridline until the village of Tal. Overnight stay at the guesthouse at Tal. Day 16: Tal – Syange (1080m), 6 to 7 Hrs. From Tal, you will steadily make your way to Syange, trekking the most beautiful part of the trekking journey. Alongside the Marsayangdi River, you will be entering the dense forest that forms lush canopies of emerald over the path. The towering views of the Sringi and Buddha Himal also make the journey quite pleasant. Crossing a suspension bridge over the river, you will finally reach Syange. Overnight stay at Syange. Day 17: Syange – Kathmandu (1350m), 8 to 9 Hrs. From Synge, you will then make your way back to Kathmandu, driving for the first half on a rather rough road that steadily levels out into the pitch. Your arrival in Kathmandu marks the final day in Kathmandu. You can spend the remaining time resting or exploring around the city for souvenirs. Overnight stay at the Hotel in Kathmandu. Approximately three hours before your scheduled flight, you will be dropped off at the airport by one of our airport representatives from where you will depart.